Our Pet Food Delivery Service was designed with the busy person in mind. Do you ever wish someone would deliver dog food to your door? Tired of schlepping all the way to the pet store or grocery store to buy your pets food, and then having to lug all those heavy bags and cans back home again? At Pet Pros Services, your wish is our command! We offer fast, efficient and affordable pet food delivery service with a smile. Whether you need quick delivery of dog food, cat food, pet food or other pet supplies, our staff will make sure your cupboards stay stocked with all your pet’s needs. Your trusted source for fast and friendly delivery of pet food and supplies delivered to your home or office. Save yourself a trip to the pet store, and save the heavy lifting for us. Pet Pros Direct provides convenient hand-delivery pet products to your doorstep. from your favorite pet stores. With our pet supplies delivery service, you no longer need to make a special trip to the pet store or carry those heavy bags and cans of dog food, cat food or kitty litter. Our pet supply delivery service is available in most areas. Just place your order online at our easy to use website or over the phone with a customer service representative and your pet supplies will be delivered to your home or office the same day. We are more than just a cat food and dog food delivery service. We deliver veterinarians medicine and supplies to your home. Pet Pros Services delivers thousands of high quality premium pet products including: grooming aids, toys, health care products, litter and accessories just like you would find at your local pet store. We offer delivery to most areas in all 50 states. To find out if delivery is available in your area contact us. We take product orders by the phone, fax or online. We also have an automatic re-order program. Orders taken before noon on Friday will be delivered the same day to your home or business. All orders will be processed within 24 hours, unless specified. Customers will be provided with tracking information. Phone orders and e-mail orders will be confirmed upon request. 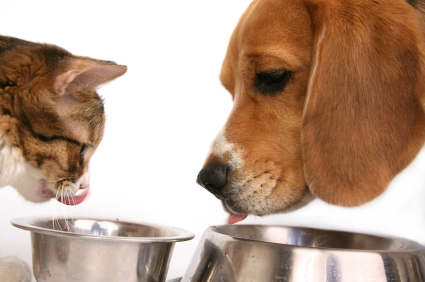 Questions about our pet food and supplies delivery services? Please call us at 1?888-973-8748? and we will gladly address any questions you may have. Q: Does someone need to be home when the order is delivered? A: No, most people are not home during the day when their delivery is made. Orders are usually left by the front door. If you would like your order left somewhere else, i.e. at the back door, please leave instructions for the driver in the comments section during checkout. Q: Can I have my delivery sent to my office or place of work? A: Yes,? Please note any special instructions in the comments section during checkout and select business in the ship to section. A: Local deliveries are made the same day. For rush deliveries or special instructions please contact customer service. Deliveries are usually made between 8am-8pm. Q: What does local delivery cost? A:? For complete information on cost and delivery areas contact us or fill out online form. Q: Will my order be alright sitting outside till I come home. A: Yes, we will try to leave your order in a place where it is out of the sun. Even on a hot? day your food will be fine in the heat. If you are ordering frozen food and will not be home when the delivery is made you should leave a cooler with ice packs by the front door to keep the food frozen until you return. Q: Do you deliver to gated communities and apartment buildings? A: Yes, our drivers just need to be able to gain access to the community or building. If there is a guard gate please let them know that you are expecting a delivery from Pet Pros Direct Delivery. If there is a gate access code please include it along with any other special instructions in the comments section during checkout. If we come to make a delivery and are unable to gain access a $12 delivery fee will be assessed and your delivery will be made at another time. A: Our local delivery service is available in all 50 states. For complete delivery information click here or contact us directly. Q: I am looking for an item I do not see in my local pet store can you order it for me? A: Yes, in most cases we are able to special order items for our customers. Please contact customer service with your requests. Q: My veterinarian recommended a prescription diet. Can you get this item for me? A: We can pick it up from your veterinarian or licensed clinic and deliver it to your home or business. A: Orders can be placed thru our website. Simply select the items you want to purchase, add them to your cart and follow the checkout process. Or orders maybe place over the phone with customer service at 1 321 262 8235. A: We accept payment with Visa, MasterCard, American Express, Discover and Pay Pal. Q: Can I arrange to have a standing order sent to me on a regular basis? A: Yes, we do offer a regular delivery service. To set up regular delivery please contact customer service. We will keep your order and billing information on file and then send your order to you at a given interval. If you ever need to change your order, time between orders or add additional items just contact customer service. A: Yes, we offer gift certificates in any amount. Contact customer service to order. 888- 9 PETS 4 U Or you can contact us any time at on our website. A: Yes, you may place your order with customer service at?1 321 262 8235 Monday-Sunday 7am-9 pm Central Time. Q: Can I pay with my Pay Pal account? A: Yes, we accept Pay Pal as a form of payment. In the payment section of the checkout select Pay Pal as your payment option and you will be directed to a Pay Pal page to authorize your payment. For security reasons we can not accept Pay Pal as payment for phone orders. Q: Do you have a store I can come and shop at or pick items up from? A: No, we are only a pet food and supplies delivery service. We do not operate a physical store. Q: Do you offer any discounts for referring a new customer? If you would like to order our Pet Food and Supplies delivery service, please?call us at 1-321 262 8235. We’ll be happy to answer any questions you may have, and arrange for the convenient delivery pet supplies to your door.